Tomorrow is my 20th wedding anniversary! To celebrate, Mr. Man and I took a trip last week to the Pacific Coast. We spent a week there for our honeymoon between San Francisco, Monterey, and Carmel, CA. 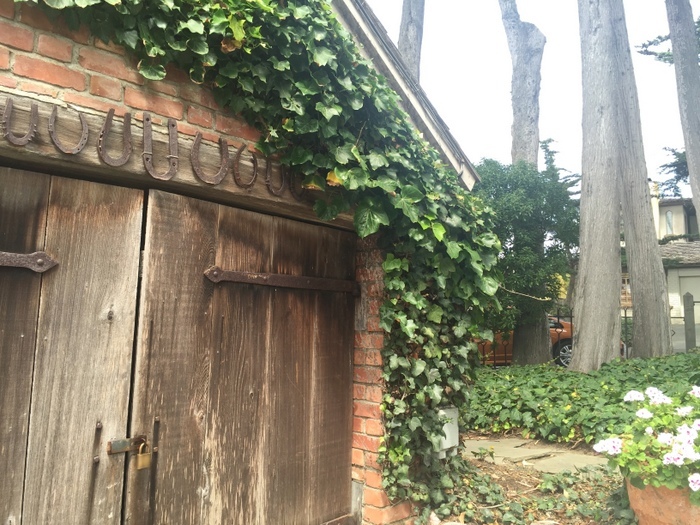 When we were there 20 years ago, I didn’t know very much about Carmel and didn’t see all the beauty of it UNTIL NOW. 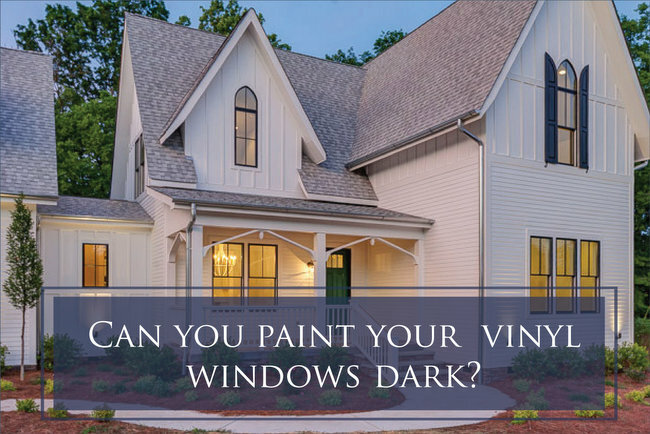 The cottage exterior colors are absolutely out of a fairytale, and I think you’ll enjoy seeing them! 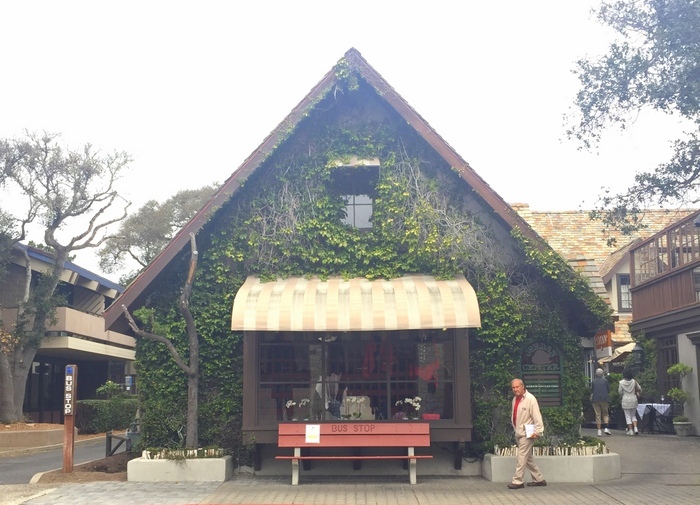 Carmel-by-the-Sea is the village within the city of Carmel. It’s pretty much the most beautiful place I’ve ever seen. It is the most picturesque place you can imagine, especially if you love architecture like I do. It looks like a quaint European village and feels like walking through a children’s storybook. 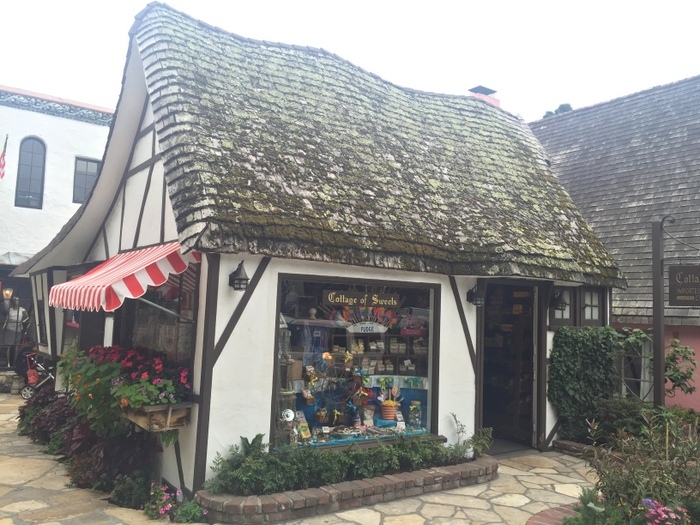 Here I am in front of The Tuck Box, built in 1926 by Hugh Comstock (who built in this infamous Hansel and Gretel style throughout Carmel-by-the-Sea), which seems a very good place to start! 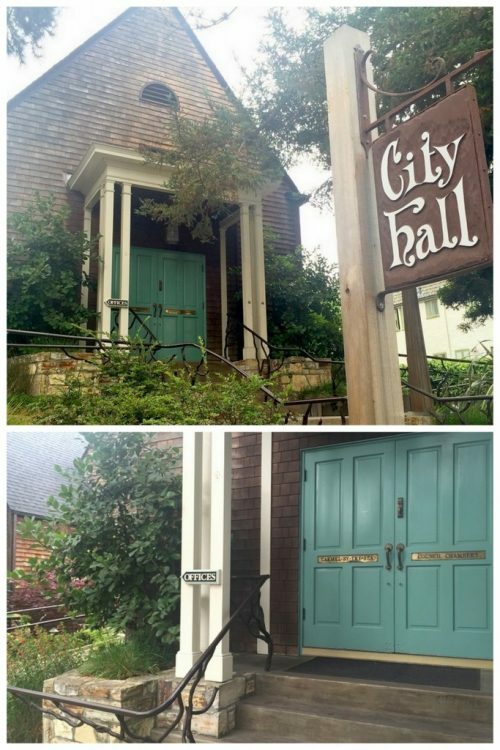 Here’s the most darling City Hall I have ever seen – it was formerly a church, built in 1912. 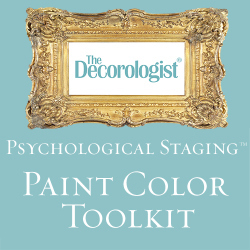 The turquoise doors – what a fabulous choice! Looks very similar to the color of bookcases in my home, and coincidently, on the cover of September’s This Old House magazine! 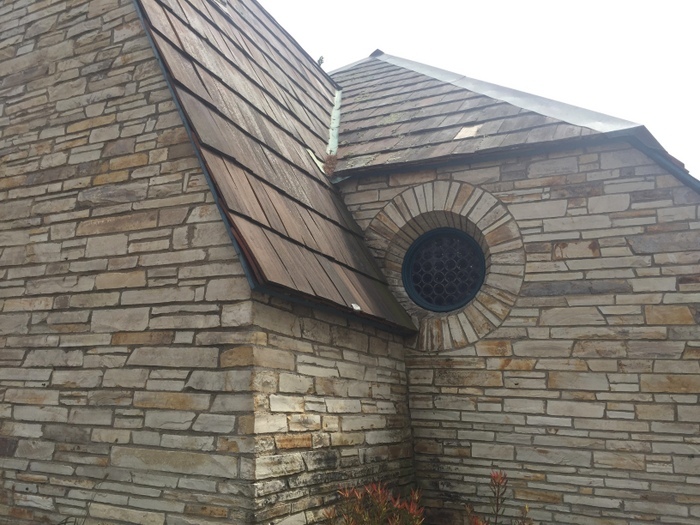 Green windows are my favorite – how beautiful they look with the weathered shake roof and warm stone chimney! This is one of my favorite homes in Carmel. 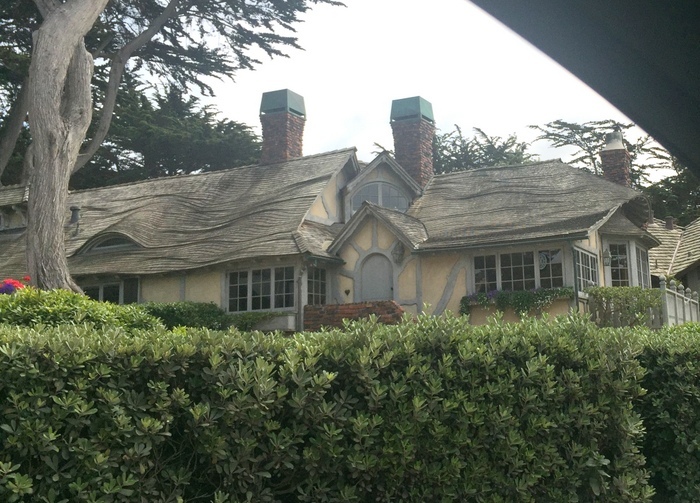 It’s classic Comstock fairytale, with the curvy roof and storybook detailing. Not bad for a garage on the front (which is usually not to be desired)! We’ve all heard horse shoes are good luck, but this homeowner is hoping for a ton of it! 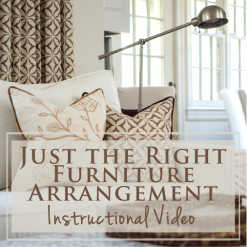 Did you know that you should hang a horse shoe pointing up? Apparently if you hang it the opposite way, the luck runs out the open end of the shoe! This hotel was so charming, I had to take several photos from different angles. You’ll notice that two of the photos make the body color whiter, while two look creamier. This is metamerism – light affects the perception of color. The filtered sunlight on the side of the building changes the way you see the body color. No, I’m not at Disneyland! 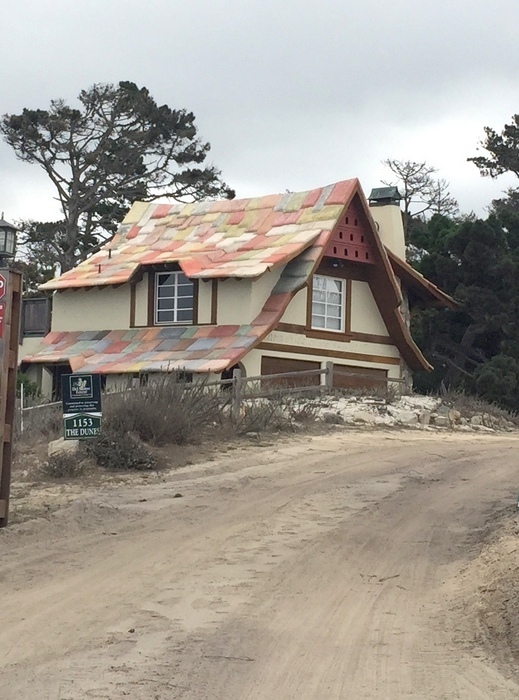 This is a new build facing the Pacific Ocean in Carmel. I have no idea what that roof is made of, but how much FUN would it be to live in a house that looked like this? 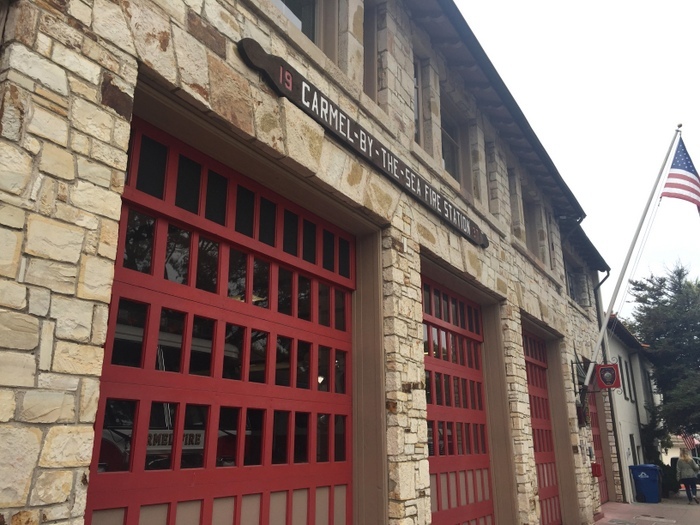 The Carmel-by-the-Sea fire station, built in 1937 of Carmel stone, was delightful to see. They even have an antique fire truck inside (I could see it through the windows)! I believe they use it for special occasions like parades and such. 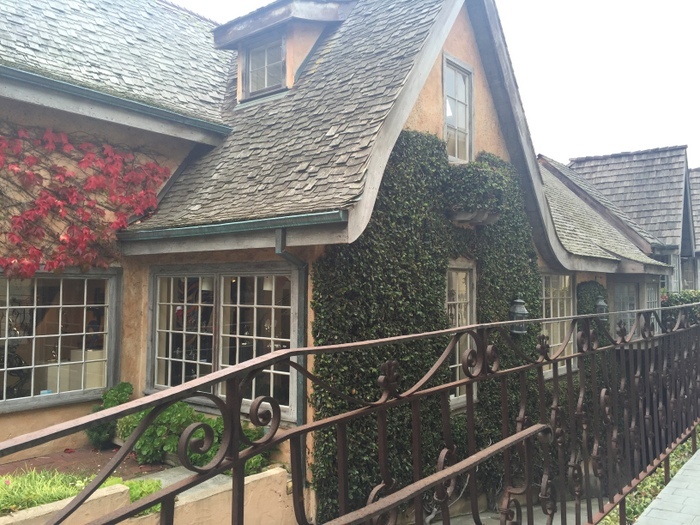 Oh, to live in the Cottage of Sweets in Carmel! What a sweet, sweet dream. Built in 1923 as a loom shop. 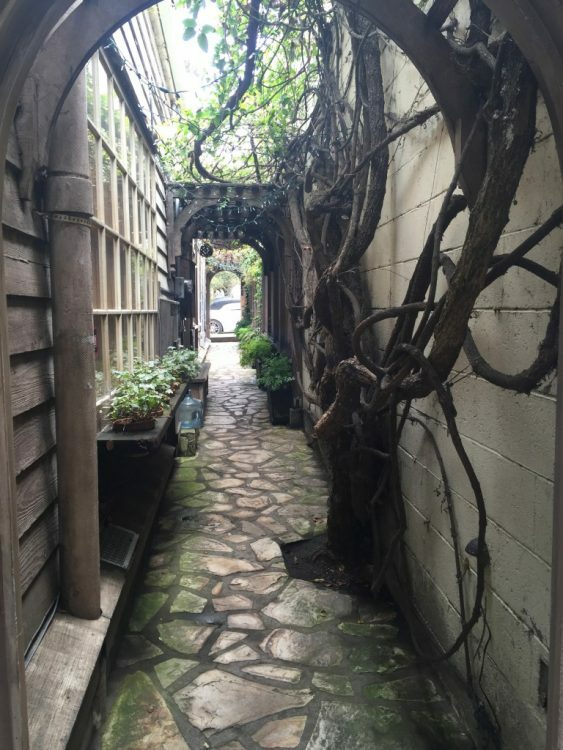 Oh, and there are secret garden courtyards and winding walkways hidden in between and behind stores. It’s the most enchanted city in the world! If you go, make sure to take an architectural walking tour. We thoroughly enjoyed the 2-hour we took with Carmel Walks. 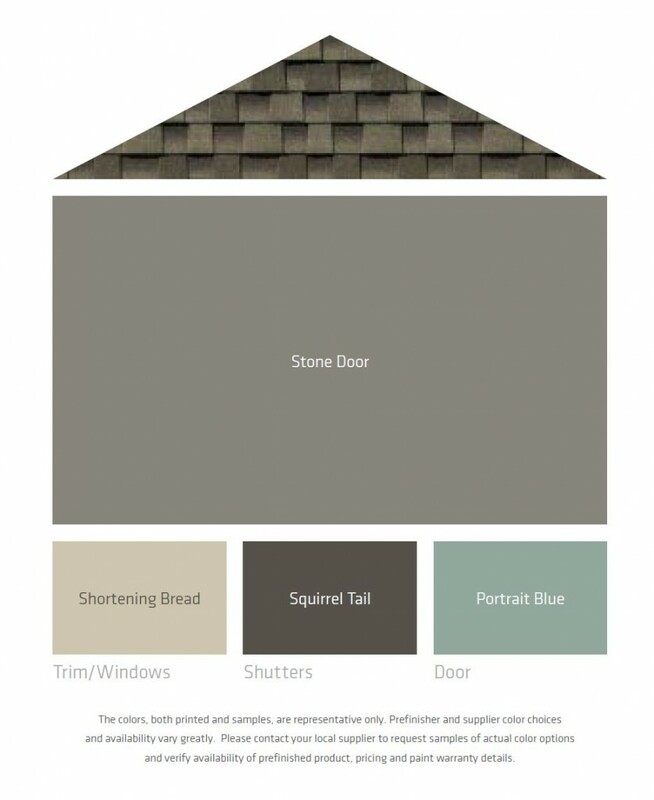 So now that you’ve seen these cottage exterior colors, what do you think? Would you like to live in a fairytale cottage? 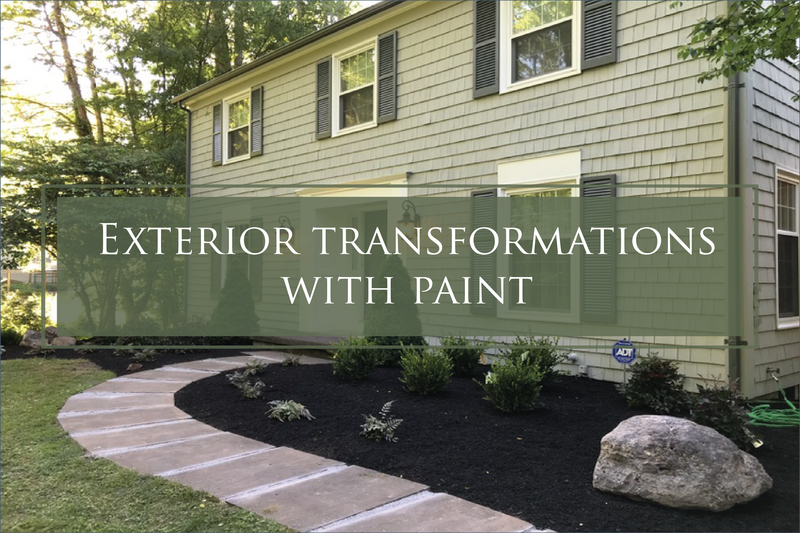 This entry was posted in Color Consultation and tagged architecture, benjamin moore, carmel, carmel-by-the-sea, color expert, comstock, cottages, decorologist, exterior, exterior paint, exterior-colors, fairytale, historic, paint colors, storybook. 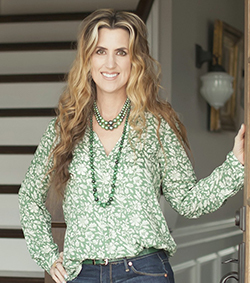 Win Tickets to the Mercantile Event in Nashville! 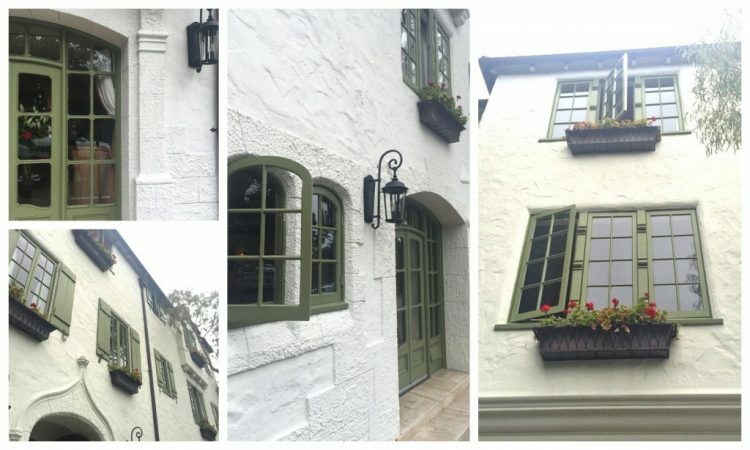 We ate at Clint Eastwood’s Carmel Mission Restaurant, and it was fabulous! I would love to see France – I’ve been to London and loved it so much. I’ll have to remember Rocamador if I ever get to go, thanks!!! Kristie, I love seeing these pictures of Carmel! I, too, was there more than 20 years ago and don’t remember any of this:( How wonderful it would be to see it through more mature eyes. I love the turquoise doors and that slate roof is amazing!!! I hope you had a great time. HAPPY ANNIVERSARY! Happy Anniversary! Congratulations on 20 years of marriage! We took this same trip this year, with the addition of Yosemite so I know what you mean when you say the area is spectacular! Carmel is adorable, and the ocean right out of town is so beautiful. I love your post! 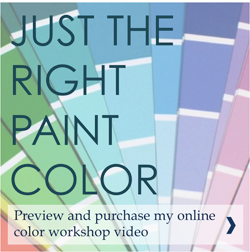 My favorite colors are the Azure Blue, Kennebunkport Green, and the Chantilly Lace. Grat photos…they brought me back! I am so glad you posted this. We are planning a trip there next summer and can’t wait. Thanks for sharing. 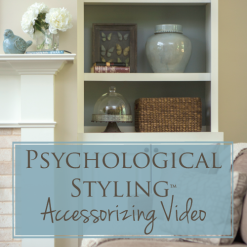 I’m pretty sure you will LOVE it. Let me know if you need any details as you are planning! None of the hotels are chain hotels, so it can be tricky trying to book one (and their websites aren’t really great or updated, either)! The whole area is stunningly beautiful. Oh wow, that sounds so lovely, Susan! 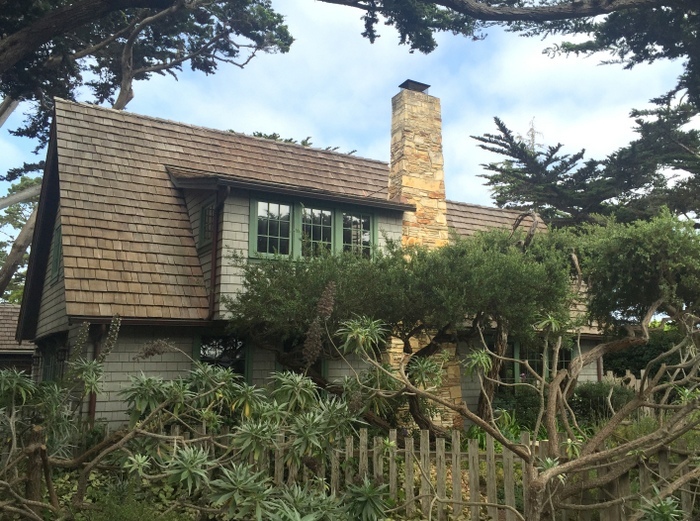 We did the 17-mile-drive and my mouth was literally hanging open most of the time in awe of the homes along the coast. I wish we had a few more days there to explore all the shops! Lovely photos! 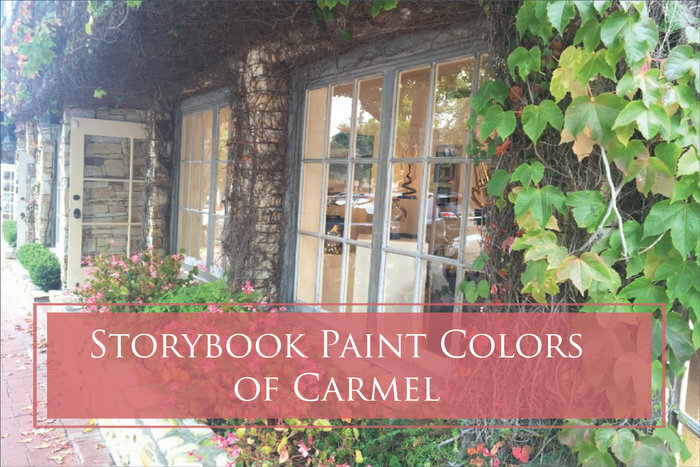 We used to live in Northern California and one of our favorite places to visit was Carmel. It is such a quaint town. Love the beautiful houses and the ocean. Wow! Looks so wonderful. I was in Carmel a few years ago, never knew about the village. Now I want to go back. The roofs are the coolest! Happy Anniversary Kristie and Mr. Man!! Oh, you need to, Kelly! I know you would LOVE Carmel-by-the-Sea. Another place to put on my travel list for when the kids are older. *sigh* What a lovely village! Hi Kristie and Happy Anniversary! My mother-in-law used to live in Carmel right on 10th and Lincoln, but moved back to Florida the year I met my husband. I’ve never seen the home, but have heard so much about it. Now with your post I decided to google it and all I have to say is OMG!!!! It’s nice to have her here, BUT I think I would rather have her in Carmel! Oh man, I know what you are saying – how great would it be to go for visits there and have a cool house to stay in, to boot! Oh Kathy, I love them all, too! Thanks for the good info and links. 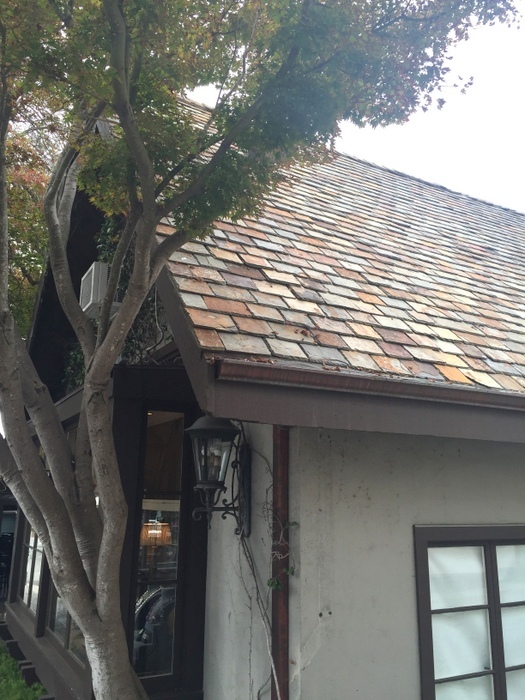 We went to a wonderful historic home in Campbell, CA with a bent shingle roof, and they told us that it was solid for 75 years. They had to replace it about 5-10 years back – they said it was difficult to find someone who could do it and that it cost $200,000 to do it. I was on a 2-story house, about 3,000 square feet. Now THAT’S an expensive roof! Great tour Kristie! I especially like the wavy roof home w copper topped chimneys. I like how they chose colors that do not take away, but inhance the roofs character. Happy Anniversary and thank you so much for this post! 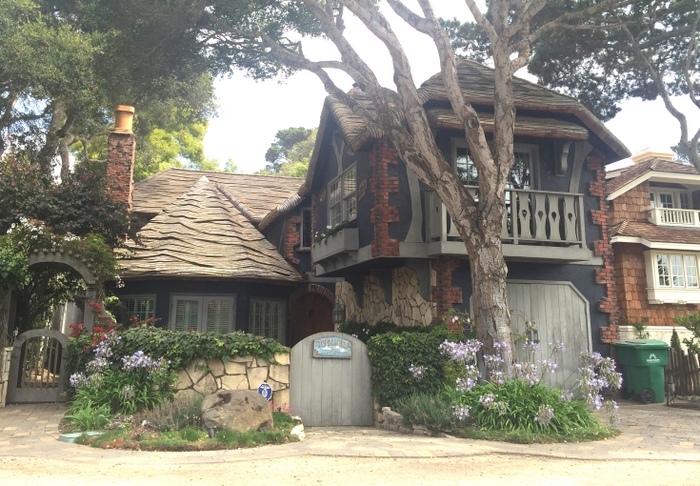 Carmel is now on my bucket list, what an enchanted and beautiful place! Great Architecture…This pictures are really beautiful..
My great uncle George lived in one of the Carmel Fairy Tale cottages. We stayed with him many years ago and I fell in love with the town. I also loved Monet’s House and gardens outside of Paris in Giverney. I was there in May and everything was in bloom. 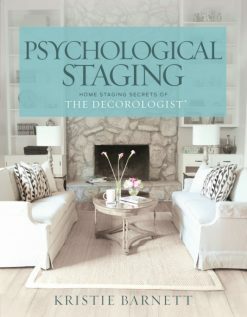 I bought a decorating book that a woman wrote after visiting his house. The blue kitchen and yellow dining rooms are gorgeous! Wow, Mary Lynn! 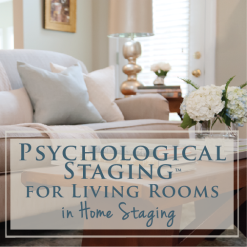 That sounds amazing – I’d love to go back and figure out how to tour more interiors of the homes there!